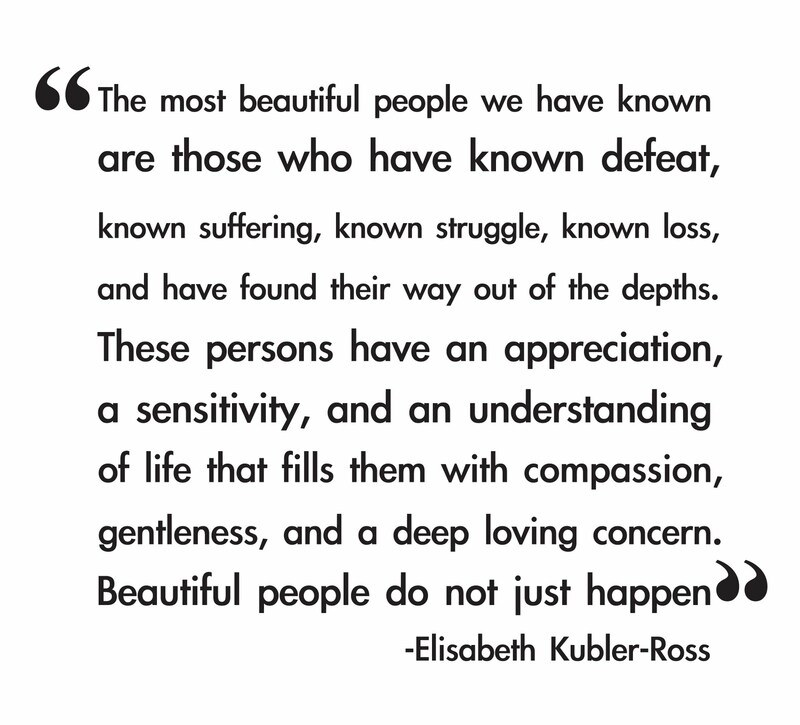 Was inspired by this quote by Elisabeth Kübler-Ross that a young lady on Facebook had shared and I thought it resonated with me. It’s a lovely and powerful quote that speaks so much truth. We – in our times and societies – are (almost desperately) convinced that beauty is the absence of struggle, the absence of sorrow, the absence of ageing, absence of deficiencies and defects, absence of scruples, of morale and ethics. But life, character, individuality (and even faces) are hand-carved by the above.